Finding a third-party logistics company to work closely with should be a high priority for any business that relies on transporting goods. Even when managing a relatively uncomplicated supply chain, the details can quickly become overwhelming. For larger companies with more goods on the move, the sheer scale of work involved in ensuring that cargo is in the right place at the right time necessitates help from experts in the transportation industry. Visibility, cost savings, and efficiency are some of the reasons why partnering with a reliable 3PL is crucial to creating a smooth supply chain. But of the many factors to consider when deciding whether it’s time to start working with an expert third-party logistics company, one of the most important is the resulting benefit to your reputation as a company. Misaligned expectations are a major source of frustration between parties in any industry. When it comes to transporting products in large quantities or those of significant value, the stakes are higher. Failing to alert manufacturers or retailers of any changes to the expected timeline may cause problems for their bottom line, which in turn may cause problems for yours. Even long-standing business relationships can be damaged by this kind of miscommunication. By relying on and communicating with your third-party logistics partner, you can avoid this kind of problem. Your 3PL has a single focus on getting items where they need to go—safely and on time. Their high degree of visibility allows them to provide you with accurate and up-to-date information, communicating with you and any relevant parties so there’s no confusion or costly mistakes. When changes arise, your logistics partner will help you appropriately manage expectations and maintain a positive working relationship with the people who count on you. Unfortunately, when it comes to transporting physical goods, there are hundreds of factors at play, and they can’t always be anticipated. Weather delays, road closures, and other unforeseen circumstances may occasionally create a domino effect, forcing supply chain managers to reevaluate their plans on the fly. A savvy third-party logistics provider is up to this kind of challenge. Using their breadth of experiences, network of carriers in different regions, and high-level view of all potential concerns, a 3PL will usually be able to help you adjust plans when hurdles pop up unexpectedly. Letting your logistics partner take the reins ensures that these surprise bumps in the road won’t sabotage your entire supply chain or dent your reputation. 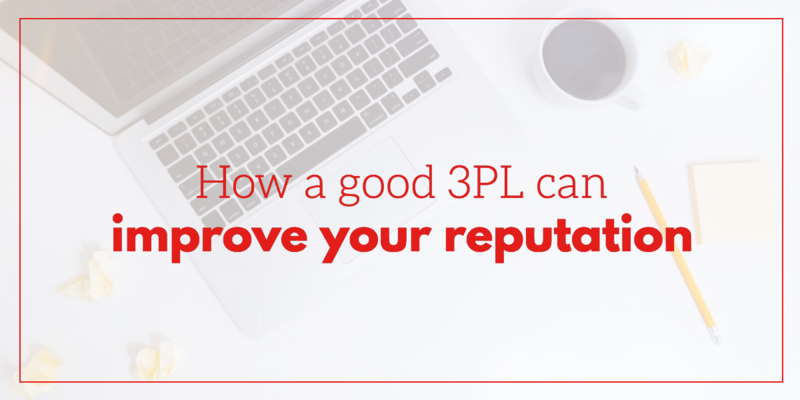 While you may have initially contacted them to help you with specific capacity needs, a high-quality 3PL does more than just source carriers for you. They should serve as a consultative partner, helping you innovate and improve your processes for increased efficiency, profits, and safety. By finding a 3PL with a proven track record and building an open, communicative relationship with them, you’ll find they can add immense value to your supply chain. As an added benefit, this relationship can maintain or improve your reputation as a leader in your industry.